The flamboyant and self-assured Walter Barnett was born in Australia and opened his first photographic studio in Hobart, Tasmania. He worked at the Taber studios in San Francisco and with W. Downey in London before running the Falk studios in Sydney. Meeting up with the Frenchman Marius Sestier when the latter brought the Lumière Cinématographe to Australia, they agreed to an informal partnership. After a private screening on 18 September at Sydney's Lyceum Theatre they began to exhibit films at 237 Pitt Street. 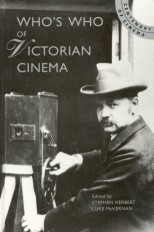 They soon started taking films as well, the first known to have been produced in Australia (for details of these, see Sestier entry). Sestier did the filming and projecting, Barnett provided photographic facilities, promoted himself and the Cinématographe with equal vigour, and directed the films. This latter activity becomes very clear in the celebrated films of the Melbourne Cup horse race (taken 3 November 1896), where Barnett can be seen directing the action, glancing at the camera and ensuring that the right people are seen to move in front of it. In the film showing the finish of the race, Barnett runs out from behind the camera and urges the crowds to raise their hats. 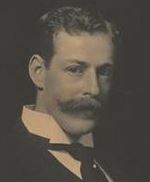 Barnett and Sestier parted company when the latter moved on to Adelaide at the end of 1896, after which Barnett continued to operate the Lumière salon in Sydney until March 1897. He is next recorded as having filmed four scenes of the England v Australia cricket Test in Sydney, December 1897. Taken with a Cinématographe and shown in both Australia and Britain (where they were marketed by Fuerst Brothers), one of the films survives, showing Prince Ranjitsinhji practising in the nets, the first cricket film. Barnett moved his photography business to Knightsbridge in London in 1898, and in 1899 became a member of the Linked Ring photo-secessionist group, using the pseudonym 'The Antipodean'. He co-founded the Professional Photographers Association in 1901. Barnett moved to Dieppe in 1916, and died on 16 January 1934 in Nice.